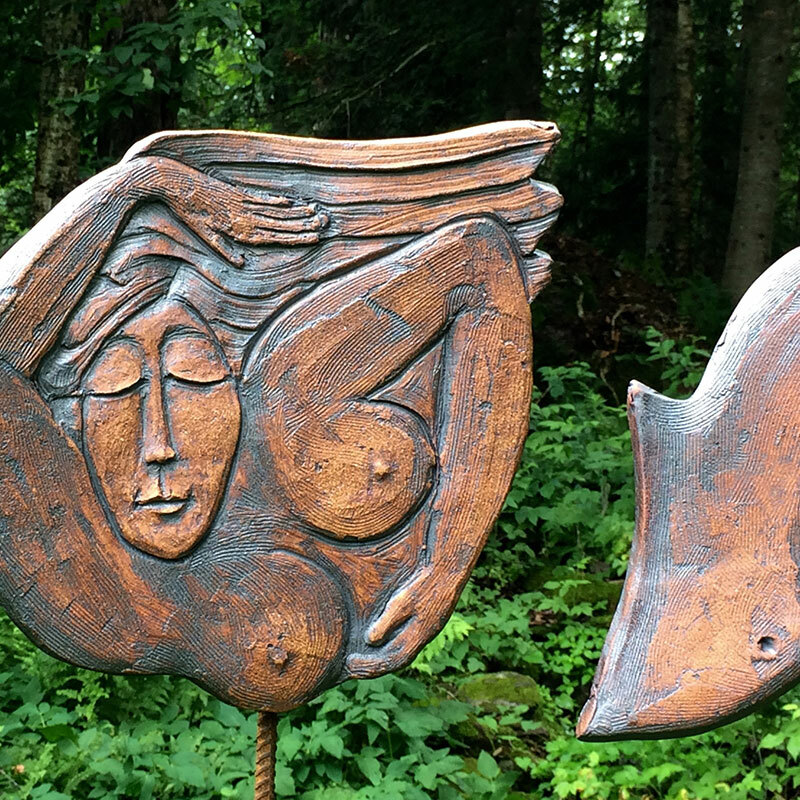 My sculptures are reflections on a woman’s life: ponderings embodied in gesture, intent caught in movement. Sometimes just a fold in the wedged clay will remind me how it felt to stretch out on the meadow in the last rays of a summer’s evening sun… and so I follow that fold, create that stretch, until a “Being” “looks back at me” and vibrates with it. I work in stoneware clay fired in a gas fired kiln, creating unique pieces that give character to a home or a garden. Some of my pieces can stay outside year round.